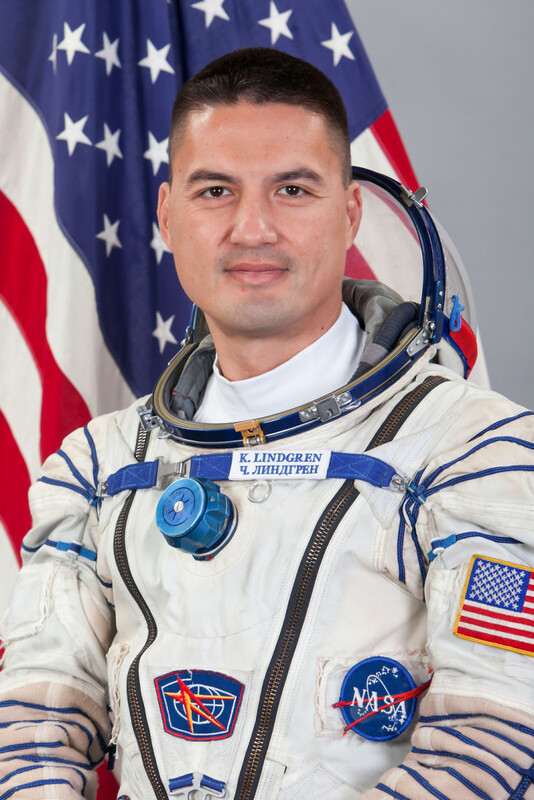 July 1, 2015 – NASA astronaut Kjell Lindgren is making final preparations for his first mission to the International Space Station. His mission team includes cosmonaut Oleg Kononenko of the Russian Federal Space Agency (Roscosmos) and Kimiya Yui of the Japan Aerospace Exploration Agency (JAXA). The three are scheduled to launch to the station aboard a Soyuz spacecraft at 3:02 a.m. July 23 Baikonur time from the Baikonur Cosmodrome in Kazakhstan. They will join the Expedition 44 crew of NASA astronaut Scott Kelly and Roscosmos cosmonauts Mikhail Kornienko and Gennady Padalka, who launched to the station in March, marking the start of a one-year mission for Kelly and Kornienko. Together the six crew members will continue the several hundred experiments in biology, biotechnology, physical science and Earth science currently underway and scheduled to take place aboard humanity’s only orbiting laboratory. Lindgren hails from the Midwest but spent most of his childhood in England. Board certified in emergency and aerospace medicine, Lindgren is a graduate of the U.S. Air Force Academy in Colorado Springs and Colorado State University in Fort Collins. Lindgren received his medical degree from the University of Colorado and began working as a flight surgeon at NASA’s Johnson Space Center in Houston in 2007 before his selection to the astronaut corps in 2009. Lindgren was originally scheduled to depart for the ISS on May 26, but NASA and its international partners rescheduled the departure after the loss of the Russian Progress 59 cargo craft in April.